Lighting internal and external circulation areas like stairwells, car parks, toilets, corridors and changing rooms is a drain on finances. This is particularly true where the bulkhead lighting was fitted a while ago. Older systems tend to be less efficient and need to be left on all the time or manually switched by users of the space. Whatever area you manage – Croydon hotel, business, public building in Bromley etc, you should consider an update of your amenity lighting system. 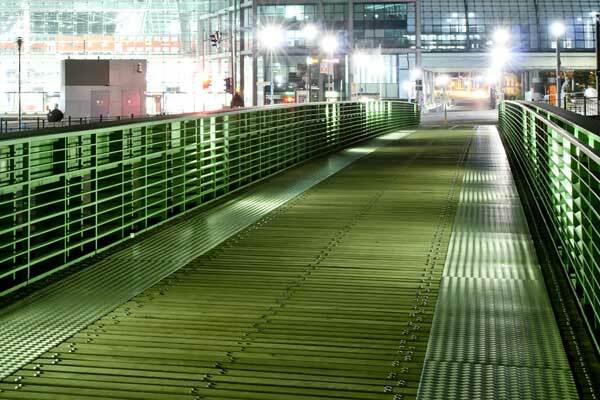 2D lighting is an excellent solution for areas that need to be illuminated the whole time e.g. internal corridors, busy changing rooms. The problem with 2D amenity lighting is preserving the life of the bulbs as frequent switching will significantly shorten their life. The worst case scenario would be a low power system with cold start HD gear. Despite this, you could find that you are making 20 – 30 percent savings on your existing lighting bill. As an installer of amenity lighting, we would suggest that dimming is the best solution for this type of system. Better even than warm start gear as it is much better at preserving bulb life. If there is enough natural light entering the area, adding in a dusk/dawn sensor is a good choice also. Where an area is subject to intermittent use such as stairwell of an HMO or hotel, or archive room, the use of LED bulkhead lighting is ideal. LED systems offer savings of upwards of fifty percent and give immediate full strength lighting, unlike phosphor based lighting which needs a few minutes to reach full illumination. We mainly recommend and install LED bulkhead lighting that has built-in microwave sensing to control switching. Another advantage of LED amenity lighting installations is that the life of an LED is not shortened by frequent switching. 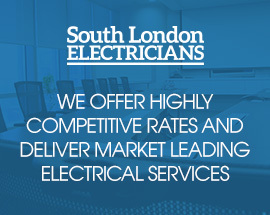 How can South London Electricians help? With over 25 years experience as an exterior bulkhead and amenity lighting installer in Croydon and Bromley, we know that the most cost-effective are NVC&reg; bulkhead lighting modules, fitted with the energy-efficient control systems. If appearance of your bulkhead lights is important, we can supply stylish circular fittings with an opal diffuser constructed with a tough polycarbonate body and diffuser. Not only does this give perfect lighting, it looks good too. It can be fitted with a white or chrome bezel to ensure that it fits in perfectly with the existing decor. We can also supply amenity lighting fitted with a prismatic diffuser if a more ‘industrial’ look is required. Where bulkhead lighting is to be situated in areas subject to the weather, we supply IP65 standard fittings. For emergency escape routes from your building, the law requires that emergency lighting is installed. Certain of the NVC&reg; bulkhead fittings can be supplied with a module that provides three hours of emergency lighting. If you contact us on 0208 406 9834, you can speak directly to one of our experienced commercial electricians. What areas of Croydon and Bromley do we cover? We cover all areas of South London not just Croydon – from Richmond and Kingston, through Westminster and Chelsea (OK, we know they are north London but we do venture over the Thames from time to time!) to Greenwich and Bexley. And our fleet of electric powered vans have the range also to visit places beyond the boundaries of Greater London – like Banstead, Caterham, Carshalton and Sutton and other locations where bulkhead and amenity lighting is required in Surrey and Kent. So to obtain the best bulkhead and amenity lighting for your money, please call 0208 406 9834. You will be speaking directly with an electrician and not a receptionist, so you will benefit from immediate, no-obligation professional amenity lighting advice from an experienced installer.